Distinguished as our highest performance ski goggle designed exclusively for men. Lenses by ZEISS offer world class optics and aesthetics that shine when placed among the sophisticated shape of the Captura frame. Gray Methane Silver Tripic Mirror - This mirrored lens is designed to protect your eyes on bright days with strong sunlight. Tripic Mirror lenses use more modest hues such as Vermilion, Brown, and Gray combined with a proprietary mirror technology to produce a series of performance-driven mirrored lenses with subtler tints. Ri-Pel® is a proprietary hydrophobic vacuum coating that is applied to each one of our Optics by Carl Zeiss Vision K2 lenses. Designed to minimize scratching and smudging, expel residue from water, sweat, and fingerprints, and enhance overall visibility, Ri-Pel® offers the necessary lens protection required by today's riders. 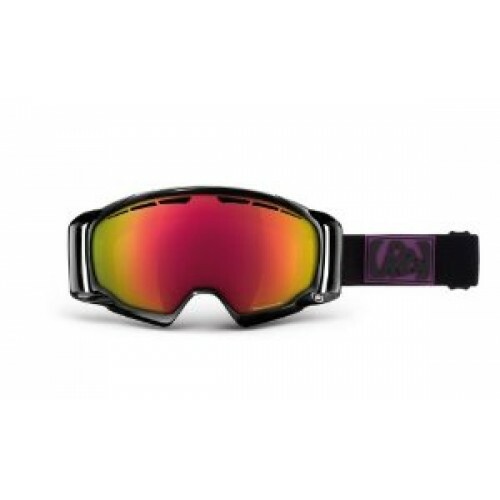 K2 goggles achieve maximum fit and ventilation with all K2 helmets. The addition of lens vents that work in harmony with K2 helmets' venting systems minimize moisture buildup and maximize air circulation to ensure a clear field of vision and optimized temperature control. Silicon-backed goggle straps keep your goggles firmly in place when charging the most aggressive lines. Two densities of foam provide both comfort and stability, while K2's UltraPlush Micro Fleece delivers the highest level of coziness for your cheeks. Each lens is made of a tough polycarbonate and treated with a hard-coating for superior performance and extreme scratch resistance.